Take pigeon peas in a bowl and wash them. Add fresh water to the washed dal and keep it aside. Similarly take raw mango pieces in another small bowl. Place these bowls of dal and mango pieces in a pressure cooker and cook them. When pressure develops in the pressure cooker lower the flame and cooks for 15 minutes. When the cooker cools down remove the bowls of cooked dal and cooked mango pieces. Wash amaranth thoroughly. We need only the leaves but not the stems to prepare this pappu. Fix a chopper blade in a processor bowl and chop the amaranth leaves finely. Take these finely chopped leaves in a microwave safe bowl and add some water. Place this bowl in the oven and cover it partially. Cook the leaves on high power for 2 minutes. Once cooked remove the bowl from oven and keep it aside. Heat a pan and add oil to it. When oil is hot add the fenugreek seeds and black gram. Fry till the seeds start changing color. Then add the mustard seeds and cumin seeds. Fry the seasoning till the seeds splutter. Then add asafoetida and mix. Add the green chili pieces and fry them till crisp. Green chilies when fried in oil will not be hot. Then add the cooked amaranth leaves and mix well. Fry the leaves for a minute and add the cooked mango pieces and cooked dal. Mix all well and add sufficient water required. 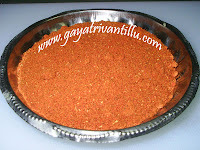 Mix again and add turmeric powder, red chili powder and salt. Mix all well and cover the pan with a lid. Cook the dal covered on low heat for 5 minutes. After 5 minutes remove the lid and stir the dal well. Transfer the prepared dal to a serving dish and serve hot with plain rice. Both amaranth and mango are rich in Vitamin A & Vitamin C.
The tangy taste of mango brings a fresh flavor to the dal. UR RECIPES ARE GREAT.I TRIED MANY OF THEM THEY TASTED GREAT.TODAY I PREPARED THOTAKURA MANGO PAPPU. IT WAS AWESOME.I JUST WANT TO SHARE A POINT WITH U .I READ THAT NEWSPAPER PRINT CONTAINS SOME CHEMICALS WHICH ARE CARCINOGENIC. IN SOME OF THE FRIED RECIPES U ASKED TO DRAIN FRIED ITEMS ONTO NEWS PAPER. IS THE INFORMATION CORRECT OR CAN WE OVERLOOK AT IT? 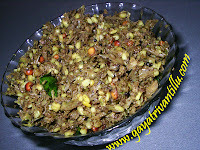 UR RECIPES ARE GREAT.I TRIED MANY OF THEM THEY TASTED GREAT.TODAY I PREPARED THOTAKURA MANGO PAPPU. IT WAS AWESOME. this is sree,i am living in london at the moment but i am from hyderabad. your site is great! i am very bad at cooking but your site and vahrehvah site has improved my cooking and now i started to love cooking.you explain everything in a nice manner.i cannot thankyou enough for your site. 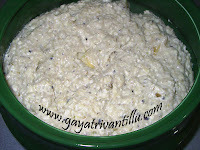 I have tried couple of your recipes(charu, nimmakaya uragaya, thotakoora mamidikaya pappu etc...) and have had success. I like your style of narration and presentation- simple, sweet and precise. Keep up the good work.